Blaze understands how important it is to have a high quality, outdoor living space that people of all ages can truly enjoy. To many, the ultimate summer entertainment activity is a big picnic with family and friends while cooking great food on the grill. That is why they have poured thousands of hours into developing their line of grills and other outdoor living products. Blaze started this company because grilling and outdoor living is a passion that we all share. Their founding team has a combined 45 years of experience in the industry, and they’ve used that experience to develop, test and make their products fantastic – because they all love what they do each and every single day. The same passion that they bring to the company is transferred to their customers through every product that they manufacture. One of the biggest complaints they heard before Blaze Grills started was that while everyone wanted an outdoor kitchen, most people thought they would never be able to afford one. They believe that every person should truly be able to afford a luxurious outdoor living space without breaking the bank in the process. They make every product with the consumer in mind, combining a super high quality product with an affordable price point. People who purchase Blaze products will see that they stand behind their word. They make their products to withstand the test of time, and back them with a solid warranty. 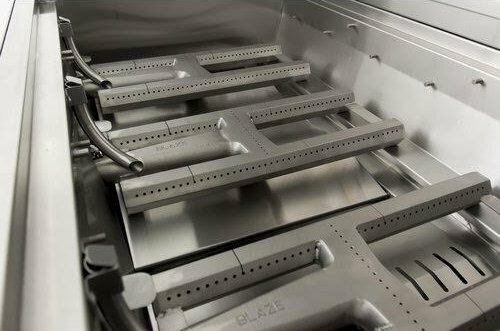 Blaze engineers work tirelessly to make the perfect grill for each person’s cooking situation. 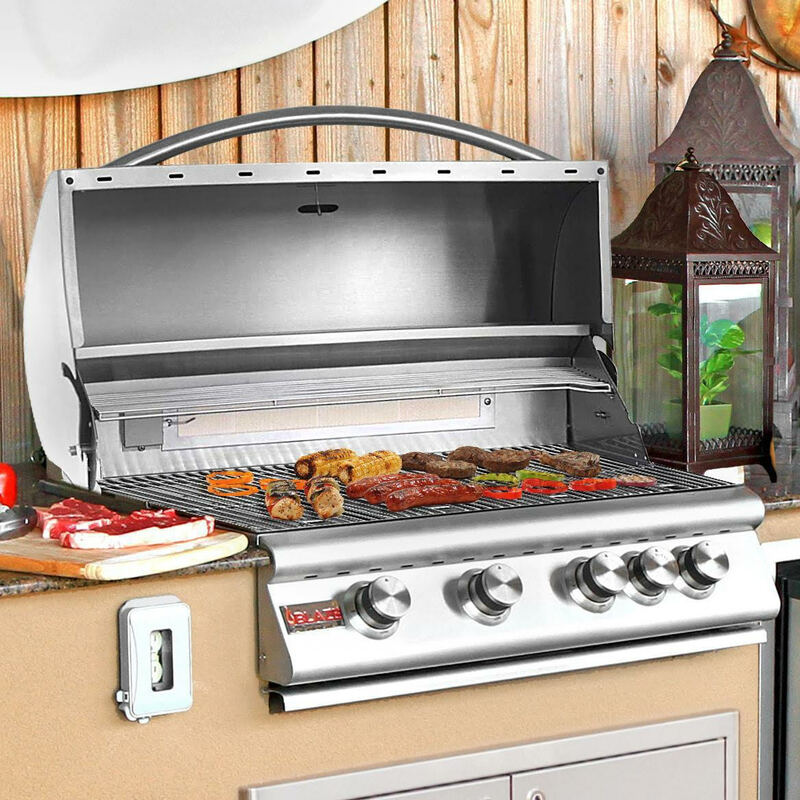 Whether you need to feed your family or the entire neighborhood, they have the perfect grill for you. In the same regard, it doesn’t matter if you are new to grilling or a seasoned expert. They make a grill that will fit your skill set so that you can truly get the most out of your cooking. That is why Blaze grills are engineered to be the best in the business but affordable to everyone at the same time. Blaze want to help grow the outdoor living movement so that everyone who wants to experience it can. Looking for an affordable gas grill but don’t want to skimp on the premium features? 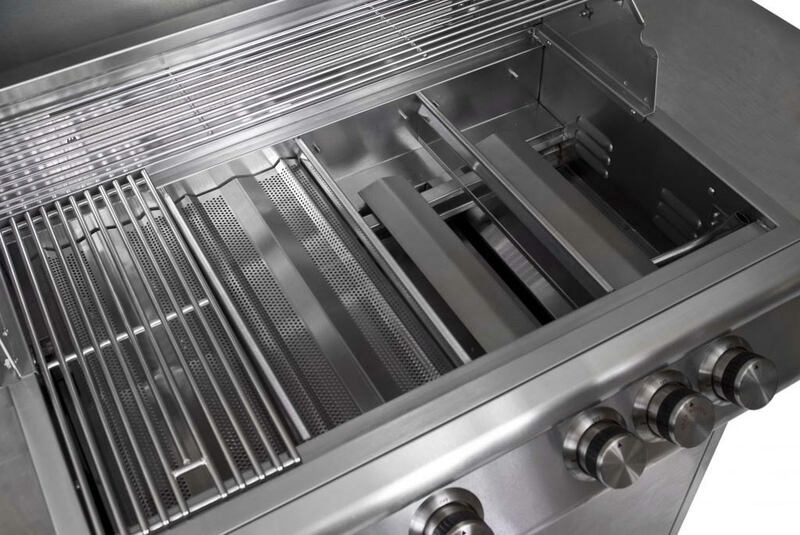 Blaze Gas Grills offers a combination of solid engineering, quality stainless steel construction and commercial-grade cast stainless steel burners to help ensure your Blaze grill will last for years and provide maximum performance. And with other great features like a flame stabilizing grid to prevent flare-ups, heat zone separators for better temperature control and a flame thrower ignition it is easy to see why Blaze gas grills are one of the best value BBQs on the market. Blaze gas grills have a lifetime warranty that warrants against any defects in the manufacturing and workmanship on the cooking grids, stainless steel housing, stainless steel burners, flame tamers, heat zone separators, control valves and all other stainless steel components. Electrical and ignition components are covered for one (1) year after the date of purchase. Grills must be registered within thirty days for the warranty to apply.